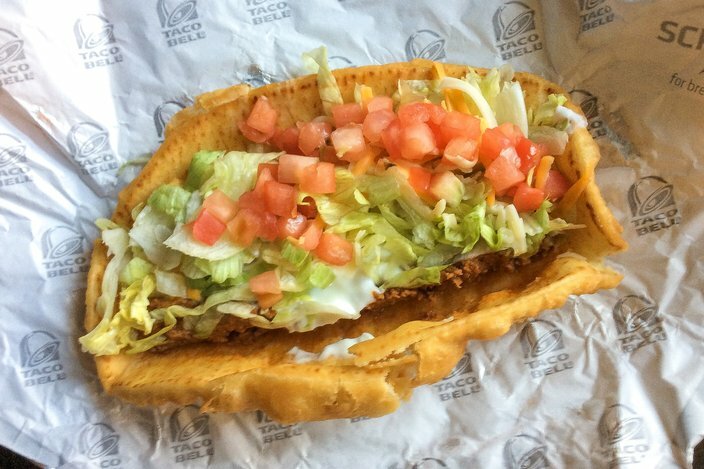 The Taco Bell Double Chalupa. For a few years now, there’s been a very popular trend for fast food chains to recreate their most popular dishes by simply making them bigger. As I said in my review of the Grand Mac — McDonald’s even bigger Big Mac, released this year — by taking a beloved food and making it larger, it’s almost cheating. If you’re a fan of the original, then it’s almost guaranteed to be good. It’s a great way to boost short-term sales and there’s much less risk of failure as a completely new product you have to introduce to the public. 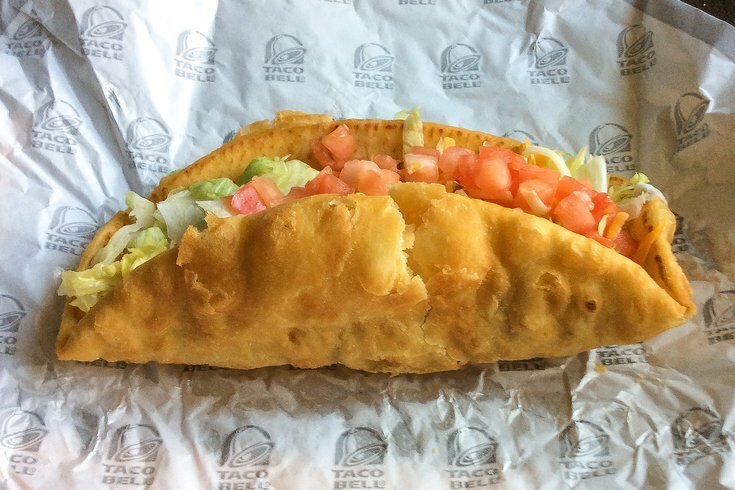 The taco giant is trying to make this magic happen again by recently introducing their Double Chalupa, a double helping of meat, cheese, sour cream and veggies on a fried tortilla Chalupa shell — only this time, it’s bigger and not made of chicken. However, the rollout has been marred in controversy with customers sharing pics on Twitter of their Double Chalupas claiming they are only partly-filled and disappointed with the amount of meat. They said their received orders didn’t look like the picture, but I’ve learned over the years that there are at least two hard and fast rules of fast food: you’re gonna wait longer than you expected and it’s not gonna look like the picture. With some of the pictures though, the evidence is pretty clear. Taco Bell’s Twitter account even acknowledged some of the Double Chalupas were not up to snuff, offering to remake them. The Double Chalupa I ordered was definitely a lot of shell, but I would say it was about the amount of their mild spiced seasoned meat I expected. Having said that, it definitely could have used more. A bigger, clog-shaped shell means more of it and while flaky, on bites where you get a lot of it, its taste is not unlike those cheap, fried noodles in a bag that they give you at Chinese food places. Those are probably better in smaller portions. While topped with tomatoes, lettuce, cheeses, along with sour cream and a nacho cheese sauce, my biggest complaint was that it was too dry. 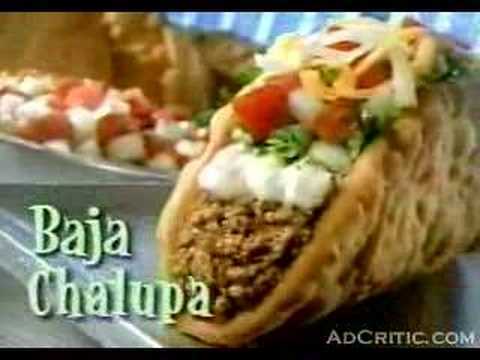 The Baja Chalupa that they used to sell perfected the Chalupa with its pepper jack Baja sauce, which they evidently do not make anymore. The sauce balanced everything out so it never got too dry. Perhaps adding some of Taco Bell’s current Avocado Ranch sauce could also solve this problem. It’s also a mess with a lot of room for the fillings to roll around. My Chalupa shell was broken so this was even more of a problem. Verdict: The follow up to their great Triple Double Crunchwrap, the Double Chalupa is ultimately a disappointing and dry failure for Taco Bell. This also ruins the streak of very good giant-sized upgrade fast food. I have a lot of thinking to do.